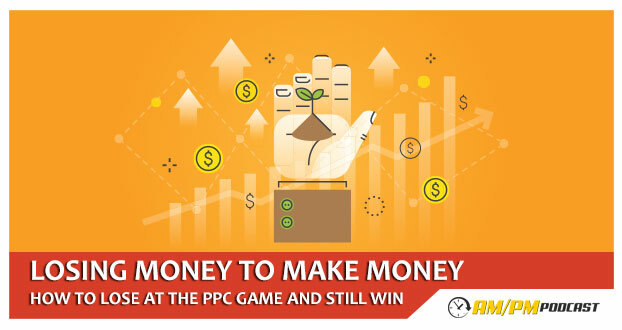 Manny Coats goes over the importance of running a PPC campaign (even if it is at a loss), and how he strategically uses Amazon PPC campaigns to generate massive gains regardless of the success of each individual campaign. When I launched my first product I started running Pay Per Click right away. This was in December; it’s been 5 months. I was losing money, my ACOS was high. The ACOS was on the sale generated through advertising, not on my sales. Even though it’s high, you’ll still be making organic sales. My sales velocity was increasing and what happens is your organic ranks fir various keywords start to increase. As the average sales you have per day go up, your whole account gets a big boost and you get an overall organic boost. The products that were on page ten will be on page nine and will slowly start to move up. My ad-spend overall went down over time. My ACOS and cost per click was really high, I was only being shown on ads as I didn’t have any ranking yet. As I started making sales on my keywords, they started giving me more keywords which increased my sales. I started ranking on page one for a lot of keywords. My organic sales and sales velocity went up, I didn’t have to run as much Pay Per Click as when I first started out, to generate sales. The sales velocity was now replacing Pay Per Click costs. Because I’m getting cheaper clicks, I’m getting the cheaper keywords so my PPC costs started to fall. I created a video that goes over everything, my sales numbers, PPC sales I was doing daily, it shows how the PPC per click fluctuate. By the end of the 10th day I was hitting $5000 in sales. I lost money for the first 12 days, my ACOS and PPC was eating all my profits. After the 12th day the profit gates opened up. My first product – I blasted out 100 review copies as fast as I could. If I put all of these coupons out in the first hour – the reviewers wont be using your discount within the first day, they’ll be waiting for the expiration day. Some of the reviews will be done within the first hour and the other will take a month and not all the people will review your product or give a good review. People freak out when they see their ACOS is at 50% and they start to cut things and that’s bad, they could be getting off golden keywords that are driving the majority of your sales initially. You need sales velocity; you need that organic lift so your sales can go up. In the video I added (on our Facebook group – Amazon FBA High Rollers) – a lot of these element is shown in there, my first few days of PPC, the sales volumes etc.